What does a good early years care and education system look like? 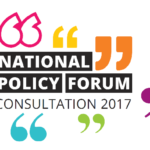 The latest National Policy Forum consultation document on ‘Early Years, Education and Skills’ recognises there is much work to be done within the education sector yet seems to miss some key points. Our education system has taken quite a battering over the last few years and Labour must ensure that it addresses all crucial areas. What does a good early years care and education system look like? How can we ensure value for money but also that children have access to the best care possible? How can we spread excellence in early years education so that every child, regardless of their background, is given the best possible start in life? In order to guarantee we have high quality early years provision, we need to recognise, define and promote the idea that Early Years is an important phase in its own right rather than just a means of ensuring children are ‘school ready’ for formal learning. As a party we should be looking to countries like Finland, one of the leading countries for education and early years, where at the heart of their play-based curriculum is the individual development of the child, their wellbeing and their development of social skills. As a party if we are to truly embrace the notion that equality is vital to economic success and societal wellbeing, then not only do we need universal free childcare but need to ensure that all nurseries have a level playing field with regards to play equipment and resources. As part of this investment, we also need to address the fact that low pay and low status is one of the key factors that affect recruitment and retention within the early years sector. At the core of providing a top early years education system is its staff. This means that staff should have good levels of training and be paid accordingly for their work. The next section of the NPF document looks at how we as a party can build ‘A School System For The 21st Century’ after having battled a constant tide of upheaval and relentless changes not to mention brutal education cuts. If we are to have a ‘A school system for the 21st century’ then the NPF needs to be looking at the fact that our school system is very much fragmented due to the introduction of academies and free schools. There is no evidence that academies and free schools perform better. In 2015 the cross party education select committee showed that there was no evidence so far that academies raised standards for either disadvantaged pupils or overall. In addition to this, the Local Schools Network data showed that a primary school rated ‘inadequate’ by Ofsted is 12 times more likely to remain ‘inadequate’ at its next inspection if it becomes a sponsored academy than if it had remained a maintained school. Secondary-sponsored academies are four times as likely to remain inadequate when next inspected. Earlier this year the government released league table figures on multi-academy trusts (MATS) which showed that more than half of established multi-academy trusts fell “significantly below” the average for pupil progress, with a host of the country’s largest trusts among the worst performers at secondary level. This coupled with the failure and closure of many free schools have costed the taxpayer millions and had a detrimental effect on children’s education. If this is not reason enough for restoring local education authorities to full working capacity and ensuring schools return to localised control then I am not sure what is. A review into what worked well under Local Authorities and areas for development prior to their decimation under the Tories would provide guidance in order for Labour to ensure they knew how to create a Local Education Authority ‘fit for the 21st century’. Whilst the NPF document has recognised there is a problem with regards to teacher retention and educational inequality there is still the mention of ‘Ofsted’ and ‘raising standards’. For those involved in education ‘raising standards’ has become synonymous with an unhealthy and detrimental obsession with data, tests, excessive teacher accountability, league tables, unnecessary paperwork and a narrowing curriculum. As a party we should be challenging this at its core with our own positive vision which advocates a more creative, holistic and inclusive approach to education. Under the previous Labour government the ‘Every Child Matters’ document was key in outlining key principles for education such as being healthy, making a positive contribution and enjoying and achieving. These principles seem a lifetime ago no thanks to the quasi-Victorian vision that the Conservatives have imposed within schools. What can we do to tackle the crisis in teacher recruitment and retention? How can we raise the status of the teaching profession and help teachers and the wider school workforce to access further training and support? In October 2016, the Government confirmed that nearly a third of teachers who joined the profession in 2010 had left teaching within five years. Of the 21,400 teachers who started working in English state schools in 2010, over 6,400 (30%) had quit by 2015. Additional statistics from the DfE show that in the 12 months up to November 2015 (the most recent year for which statistics are available) over 50,000 qualified teachers in England left the state sector. This equates to one in ten teachers leaving the profession and is the highest number of teachers leaving in the last decade with record numbers planning to leave. Unmanageable workloads and the denigration of the teaching profession has led to a crisis in recruitment and retention. The workload survey carried out by the DfE show that teachers are working around 60 hours a week, many within the profession would argue that this figure has risen in the last year. Labour must address this and make teaching a valued and trusted profession again, looking to Finland as an example whereby high quality degrees are a must and result in teachers being a highly prized and trusted profession. This would mean Labour stripping away all the unnecessary bureaucracy and scrutiny and giving teachers and schools more autonomy, not to mention opportunities for high quality professional development. At present academies, free schools and the private sector can all employ non-qualified teachers. If Labour is to show it means business in promoting teaching as a profession then it must ensure that in addition to good quality training degrees, it must commit to ensuring teachers in all institutions and sectors are fully qualified. Ofsted – where to start with them. For those working within the education sector there is a recognition that the profession needs an accountability system – just one that is more productive. Ofsted has been frequently cited by teaching unions as creating a ‘culture of fear’ within schools, with many in the profession branding it ‘not fit for purpose’. In March last year, the then General Secretary of the National Union of Teachers Christine Blower called for Ofsted to be replaced with “A new model of school accountability, one that involves school self-evaluation and is designed in discussion with the profession.” It is clear a new model is needed and Labour needs to lead the way with a more pro-active and collaborative model. Mental Health has become a huge concern within education. In 2015 the charity Young Minds published its research into mental health cuts for children and adolescents which showed that over 1 in 5 Local Authorities have either frozen or cut their CAMHS budgets every year since 2010. According to data published by Young Minds, 850,000 children aged 5-16 have mental health problems with three children in every classroom having a diagnosable mental health disorder. What more can we do to help teachers better support children and young people with mental health issues? Whilst it is positive that children’s mental health is on the agenda, this really is asking the wrong question. What really needs to be asked is “why has mental health become such a concern within educational settings?” Identifying the root causes of mental health disorders with children and adolescents, promoting and supporting early intervention and addressing the cuts to CAMHS would be a much better starting point rather than expecting teachers and support staff to pick up the pieces in schools. It is worth noting that Young Minds cites the ‘exam factory’ culture as one of the key reasons for the rise in mental health problems in children and young people. Another reason why Labour needs to present a clear alternative to the rigid data driven system. The next section of the NPF document ‘Modernising and Improving Access to Further Education and Adult Skills’ rightly points out that since 2010 the further education sector has incurred real-terms cuts of around 14 per cent and providers are struggling to keep their doors open. How can we improve access for adults that want to re-skill and develop the quality of workplace learning? What role can Universities play in this? In 2020 we should start by reversing the cuts to the adult skills budget and expand it into a lifelong learning service by adding 2% to corporation tax (still comfortably the lowest in the G7). This funding would be hypothecated to expand adult learning into a lifelong learning education resource. The extra tax revenues brought by a high skill, high productivity and high pay economy will fund further expansion. A National Education Service will give working age people access throughout their lives to learn new skills or to re-train. It should also work with Jobcentre Plus to offer claimants opportunities to improve their skills, rather than face the carousel of workfare placements, sanctions and despair. We need a return to ambitious joined-up government. If Labour are serious about creating a National Education Service then acknowledging the role of FE colleges is key. The question asked re the role of universities within the FE sector is really the only part where universities get a mention. There is no section addressing the needs of Higher Education, meaning that university tuition fees are not even mentioned. In Jeremy Corbyn’s original leadership campaign, he planned to scrap tuition fees altogether, rightly believing that education should be free for all. The fact there is no mention of this in the policy consultation is a major concern. Again, if we are looking to create a lifelong NES service, it is a necessity that universities are included in this model. Finally, latched on to the end of the consultation document is ‘Improving Children’s Social Care and Safeguarding’ section. The cuts to social care have been exceedingly brutal and have put children’s lives at risk. Organisations such as The Children’s Society, NSPCC, The British Association of Social Workers (BASW) and many more have all raised grave concerns regards the impact of lack of funding. Rather than an education ‘add on’ this area deserves a separate policy consultation in its own right. 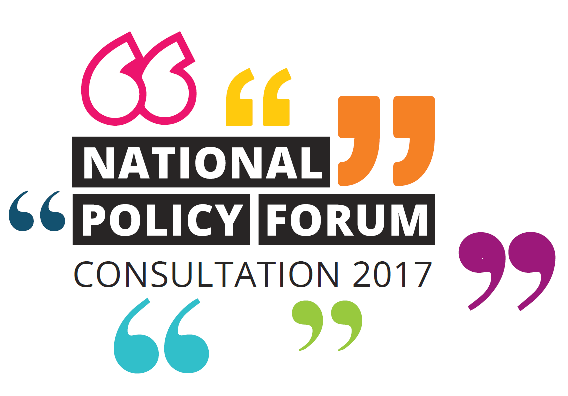 The NPF consultation states that Labour’s vision for education is to make sure that everyone, whatever their background, is given the opportunity and skills to reach their full potential and live a good life. Whilst the document provides a jumping off point for policy, there is significant work to be done in addressing key factors within education, with a desperate need to clarify where we stand as a party on a number of issues such as academies, local authorities, curriculum, funding, grammar schools and teacher recruitment and retention to name but a few. Where’s accountability over Shaun Wright, Rotherham child care, police apology 3 years late? Posted in: Education, Social Affairs. Until this year the Tories had knowingly conned the public in terms of education spending by claiming it was not cut and ‘ring fenced’. The problem was and is that this ring fencing only covered 5-16 compulsory education and didn’t apply at all to early years or post 16, both of which have been battered and starved of cash. Nor did it apply to central services provided by LA’s such as music. PE and SEN. As a result most Sure Start centers have shut, 6th forms and FE colleges have had massive redundancies and reductions in courses, while what is left of central services in many areas is nothing. From this year cuts in real terms are also hitting 5-16 state schools. So we start with funding. When it comes to teacher training the Tories have managed to destroy what we used to have for teachers where you learned pedagogy, how children’s minds absorb and retain information, learning styles and strengthened subject knowledge. Instead we have ‘on the job training’, in at the deep end without any knowledge of what works in the classroom, just ‘try your best and muddle through’, and that is as big a factor as workload and stress for the lack of new teachers lasting more than a year or two. We must also completely oppose academies and free schools instead of having the daft position of not opposing the former (because it was originally a Labour policy – despite it being a very bad one) but opposing the latter when the only legal difference in law is that academies are maintained schools that have converted to academy status while free schools are ‘starter’ academies. Yes, I am willing to talk tactics of how we do this (I would start with restoring LA oversight and local democratic accountability over all state funded schools), but until we get to grips with the disaster of academisation we don’t deserve to be taken seriously on anything else. Rumour has it there may be an election soon? Any thoughts on that from anyone on LF? I suspect the lack of response is down to a certain amount of inertia in the editorial process. First someone has to write an article, then James Elliot has to read and approve it. Presumably we’ll have something published tomorrow. Seeing you asked, I don’t think its going to be good for Labour, infact I think its going to be bad. Here is my prediction, Labour will be the third party at Westminster come June 9. I cant actually see a way back there after. If I am right and this is the end of the LP as a political force in British politics I think it is self inflicted. Labour gave us Tony Blair. Tony Blair gave Iraq war. Tony Blair is still strutting himself about town. Hell mend Labour. I thought this was a very good, very thorough look at education and the challenges for developing good policy on it. I don’t know how Labour is going to be able to put a manifesto together for the upcoming election, given the complete lack of anything like this coming from the Policy Commissions. The most detailed proposal we’ve heard on education in ages is to have free school meals, paid for by VAT on private schools. While that’s a nice policy, it is hardly something you can build a manifesto around! With only two months, there is no way that the grassroots will have time to develop policy and there has been no indication that the leadership is capable of developing the sort of detailed plans demanded by a manifesto. So, what is Labour going to be running on? As things stand right now, I would not feel able to campaign for the Labour Party because I have no idea what it would do if elected. The best that’s Left in Labour. Good writing. Sharp criticism. Open debate. Campaigning. Red or green, aligned or not, Left Futures seeks to refresh and activate your politics. If you want to get involved as a contributor, please contact James Elliott using the form on this page. Left Futures is a new Labour Left network. If you want to get involved as a contributor, please contact James Elliott, using the form on this page. Header images: Wind farm [credit]. Balloons [credit] and crowd scene [credit].